Older adults often experience their social worlds shrinking, as retirement, the death of friends and family, or lack of mobility make participating in social activities more difficult. For those who become socially isolated or who feel persistently lonely, the consequences can be dire and even life-threatening. The good news is that an increasing amount of research is being done to understand the causes, risks, and prevention of social isolation in older adults. 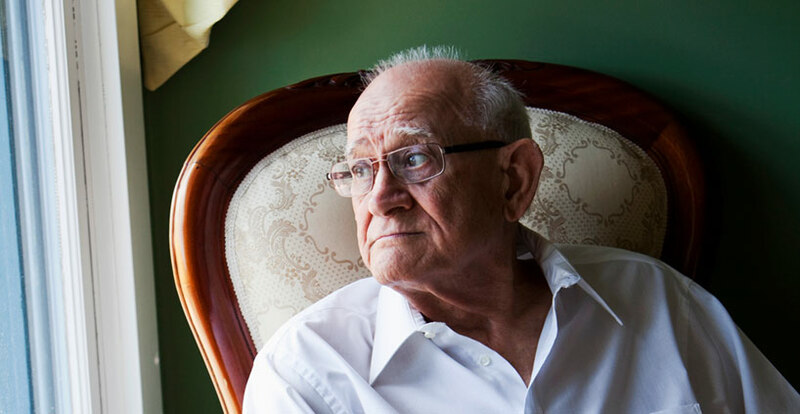 These five facts about senior isolation will help you identify if someone you know is becoming socially isolated and what can be done to address it. Recent research has shown that isolated seniors do not live as long and are more likely to develop long-term illnesses compared to their more social counterparts. Without close contacts standing by, isolated older adults are also less likely to receive prompt medical attention in the event of an illness or injury. Loneliness is also linked to cognitive decline and an increased risk of developing dementia or depression, as well as the development of unhealthy habits and addictions. 2. Isolated seniors are more susceptible to elder abuse. Many studies have shown that seniors who have a limited social network—especially when relationships with family are poor—are more vulnerable to financial scams and elder abuse. The good news is that bolstering social support can act as a key protector against elder mistreatment. Maintaining connections with elderly friends and loved ones, and encouraging them to speak out about anything they are uncomfortable with, can help ensure their safety and wellbeing. Despite common misconceptions, older adults who are married or live with a partner are equally likely to report feeling isolated as those who are not. Couples often find their social lives changing as their children become busy with young families and their friends move or pass away. Caring for a parent, spouse, or loved one is an enormous responsibility. Family caregivers often find themselves juggling their caregiving duties with paid work and raising children, leaving them exhausted and without time to enjoy hobbies or social outings. This can create feelings of loneliness and social isolation. Practicing self-care, taking a few minutes for mindfulness, seeking support, and hiring respite home care can all help family caregivers get the rest and the social connection they need. With the toll that loneliness can play on physical and mental decline, older adults with less social contact require more long-term care. A recent study by the AARP Public Policy Institute, Stanford University, and Harvard reported that each year Medicare spends approximately $6.7 billion more on socially isolated older adults. For those without long-term care insurance, ongoing health issues can also take a toll on personal finances. Seniors At Home is dedicated to improving the lives of socially isolated older adults and their families, providing home care, care management, and dementia care, as well as support for family caregivers. Our clients have access to support from our highly-trained professional team, as well as company from friendly volunteers. To learn more about how Seniors At Home can support an isolated older adult in your life, call 844.222.3212 or contact us online. « Tea, Cake, and Conversation … About Death. What is a ‘Death Café’?